It is the last season of high school life for Nadia Turner, a rebellious, grief-stricken, 17-year-old beauty. 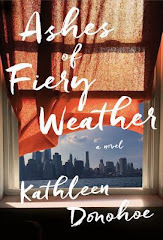 Mourning her own mother's recent suicide, she takes up with the local pastor's son. Luke Sheppard is 21 years old, a former football star whose injury has reduced him to waiting tables at a diner. They are young; it's not serious. But the pregnancy that results from this teen romance—and the subsequent cover-up—will have an impact that goes far beyond their youth. As Nadia hides her secret from everyone, including Aubrey, her God-fearing best friend, the years move quickly. Soon, Nadia, Luke, and Aubrey are full-fledged adults and still living in debt to the choices they made that one seaside summer, caught in a love triangle they must carefully maneuver, and dogged by the constant, nagging question: What if they had chosen differently? The possibilities of the road not taken are a relentless haunt. An interesting choice and something I'd read. Thanks for the recommendation. Great pick! I'm really looking forward to this one also. Although this is not my choice of read, I do love that cover! It's not for me, but it sounds interesting. Hope you enjoy it! Interesting pick for this week. That book sound super intense. I hope you get a chance to read it! Ooo, I am excited for this one too! That sounds like quite the entanglement. I hope you enjoy! This was a well written book with a very unique storyline. The characters' insecurities are very relatable. I loved the story until the end! I feel like the author left it too open. I prefer definitive endings. But I still recommend this book! It kept me engaged and wondering until the very last page! I would definitely read more books by this author. 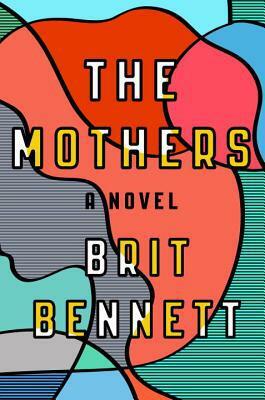 I found The Mothers to be one of my better, summer reads, not only because it reads so true but also because Bennett’s cohesive, sensitive writing held up throughout, so well. It’s true. I would not have read The Mothers had it not been on the Reverend’s list. But I’m very glad I did because Bennett’s telling of the story is so vividly resonant.